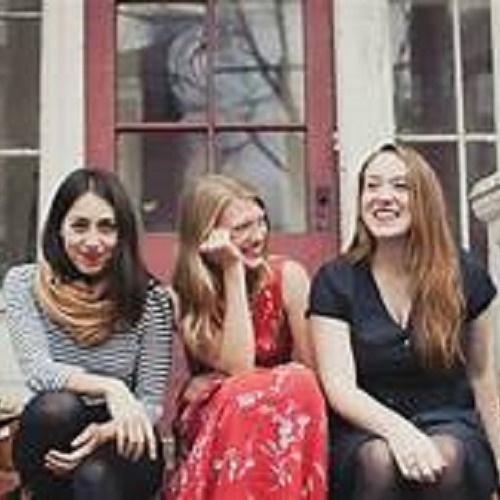 Blissfest brings Boston-based indie-folk band Lula Wiles to Red Sky Stage.. None of the band members are named Lula. The trio made up of Isa Burke, Eleanor Buckland, and Mali Obomsawin. Their voices burn, twist together, mingle, and rise like smoke signaling changes to come. But anchoring that delicate touch is a mastery of folk music —and a willingness to subvert its hallowed conventions. Blissfest Music Organization brings Boston-based indie-folk band Lula Wiles to Red Sky Stage.. None of the band members are named Lula. The trio made up of Isa Burke, Eleanor Buckland, and Mali Obomsawin. Their voices burn, twist together, mingle, and rise like smoke signaling changes to come. But anchoring that delicate touch is a mastery of folk music —and a willingness to subvert its hallowed conventions. Long before they were in a band together, the members of Lula Wiles were singing folk songs and trading fiddle tunes at a camp in Maine. “All of us were lucky to have access to the folk music community at a young age,” Burke says. “The music traditions that we’re drawing on are social, community-building traditions.” On those warm summer nights, playing music was just plain fun. But the members of Lula Wiles carry those early lessons of community and the meaning of shared art with them to this day, as they seek to create music that questions cultural virtues, soothes aching wounds, and envisions a better world. Lula Wiles came of age in Boston, in the practice rooms of Berklee College of Music and the city’s lively roots scene. Since then, they have toured internationally, winning fans at the Newport Folk Festival and the Philadelphia Folk Festival. The musicians take turns in different roles––Burke and Buckland on guitar and fiddle, Obomsawin on bass, all three singing—but no matter who’s playing what, they operate in close unison.